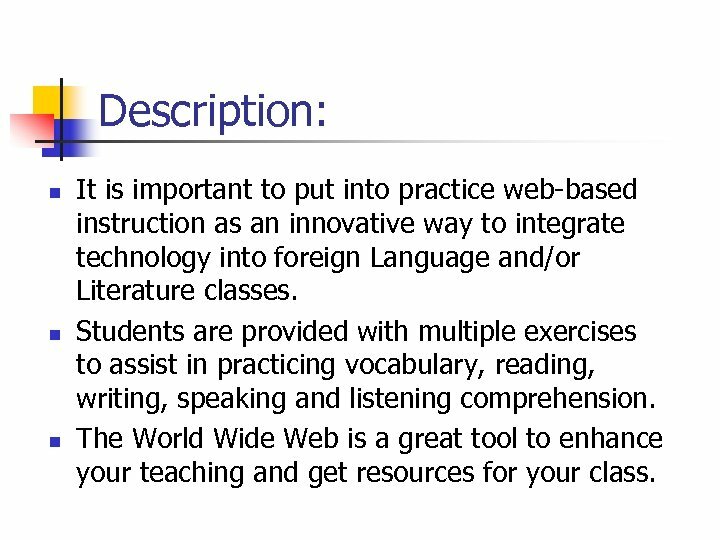 Description: n n n It is important to put into practice web-based instruction as an innovative way to integrate technology into foreign Language and/or Literature classes. 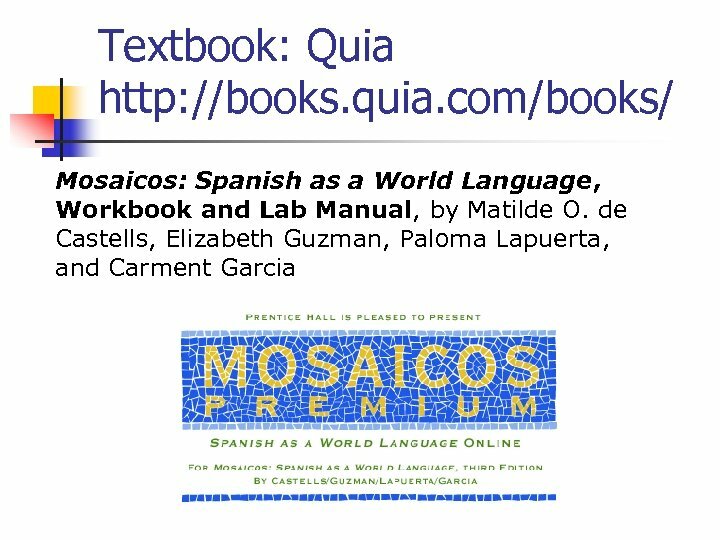 Students are provided with multiple exercises to assist in practicing vocabulary, reading, writing, speaking and listening comprehension. 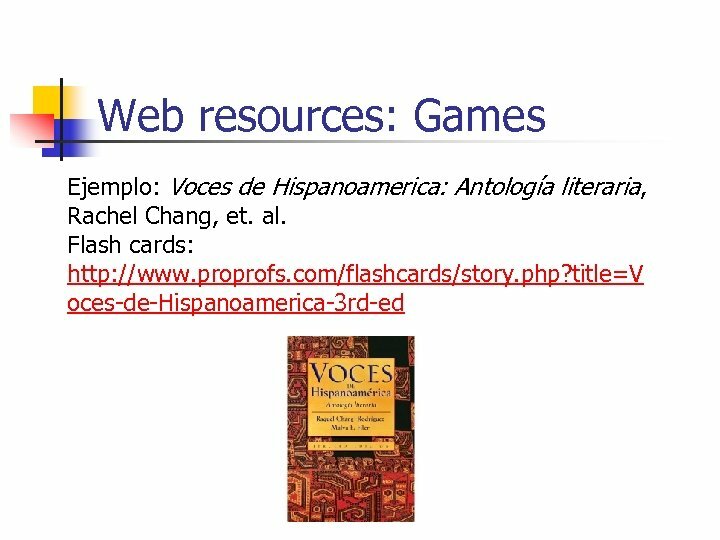 The World Wide Web is a great tool to enhance your teaching and get resources for your class. 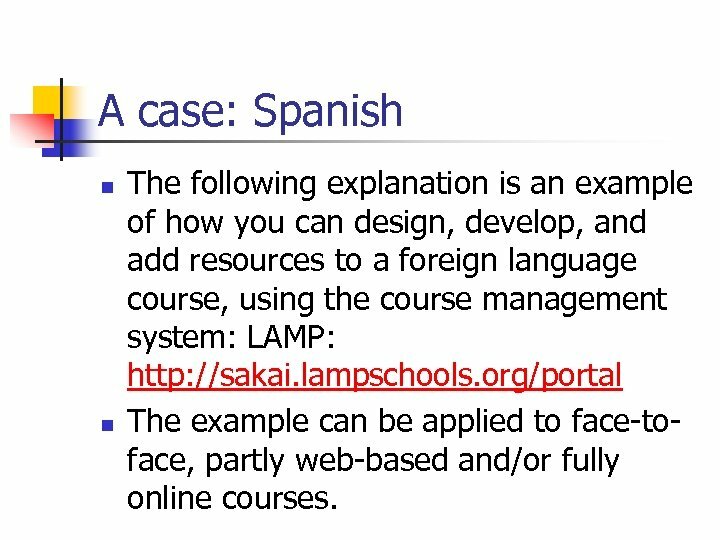 A case: Spanish n n The following explanation is an example of how you can design, develop, and add resources to a foreign language course, using the course management system: LAMP: http: //sakai. lampschools. 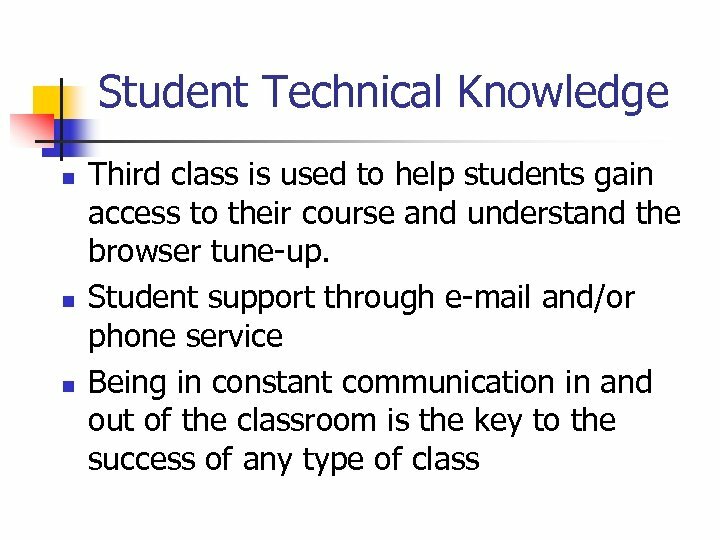 org/portal The example can be applied to face-toface, partly web-based and/or fully online courses. 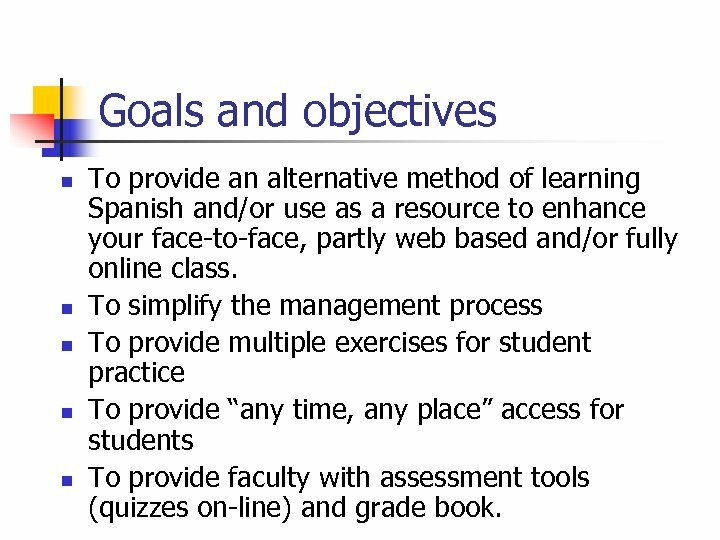 Goals and objectives n n n To provide an alternative method of learning Spanish and/or use as a resource to enhance your face-to-face, partly web based and/or fully online class. 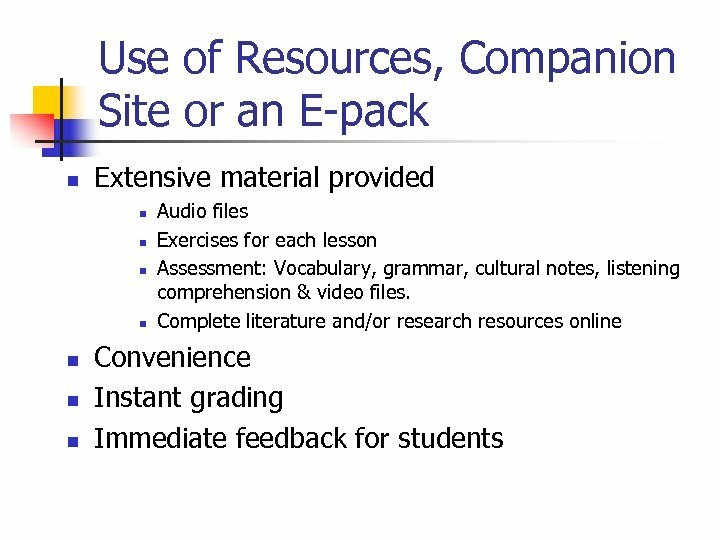 To simplify the management process To provide multiple exercises for student practice To provide “any time, any place” access for students To provide faculty with assessment tools (quizzes on-line) and grade book. 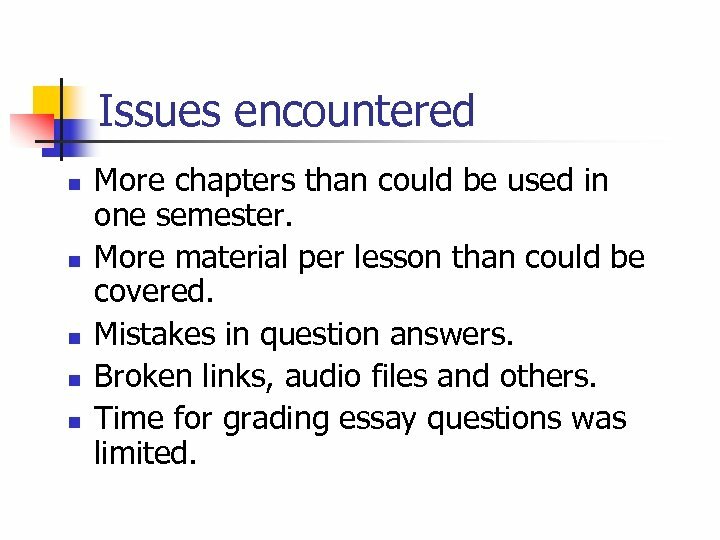 Issues encountered n n n More chapters than could be used in one semester. 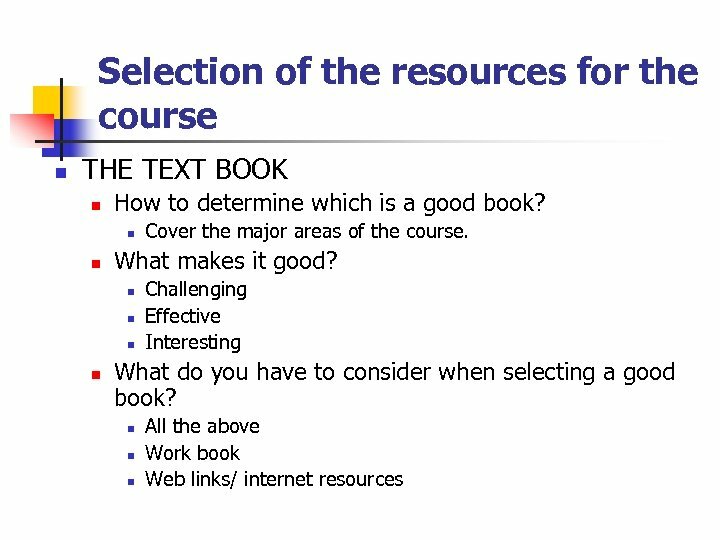 More material per lesson than could be covered. 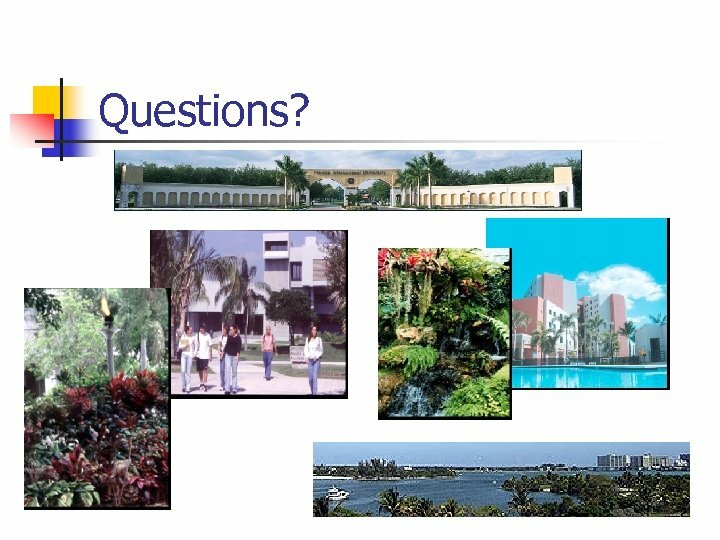 Mistakes in question answers. 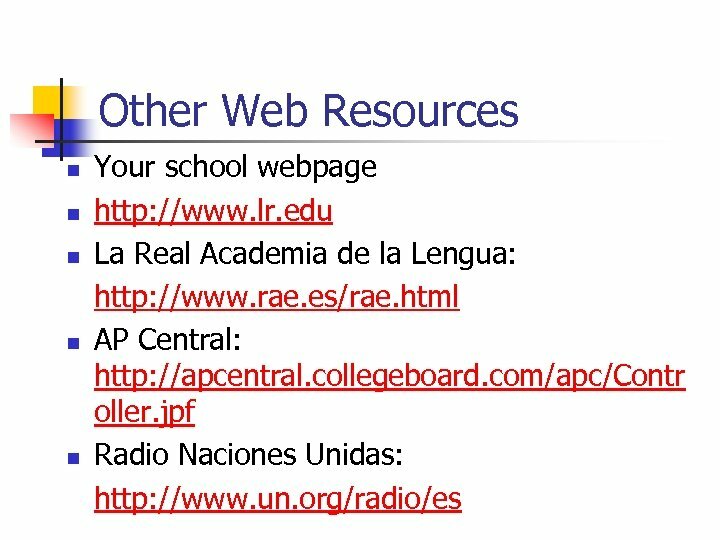 Broken links, audio files and others. Time for grading essay questions was limited. 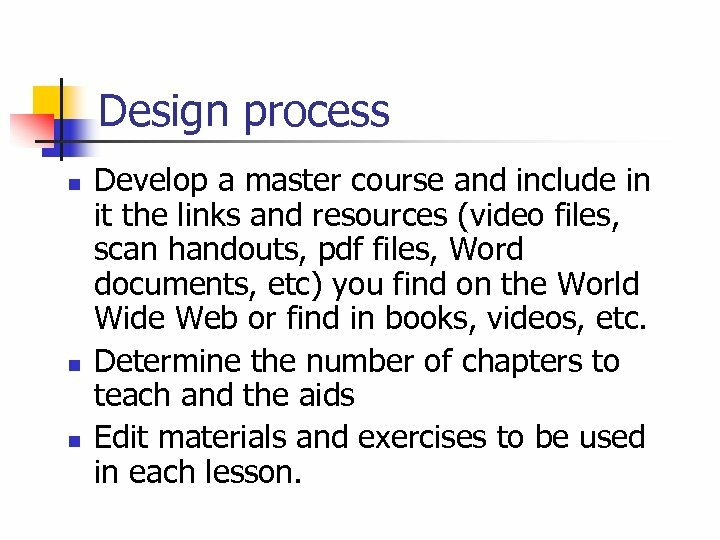 Design process n n n Develop a master course and include in it the links and resources (video files, scan handouts, pdf files, Word documents, etc) you find on the World Wide Web or find in books, videos, etc. 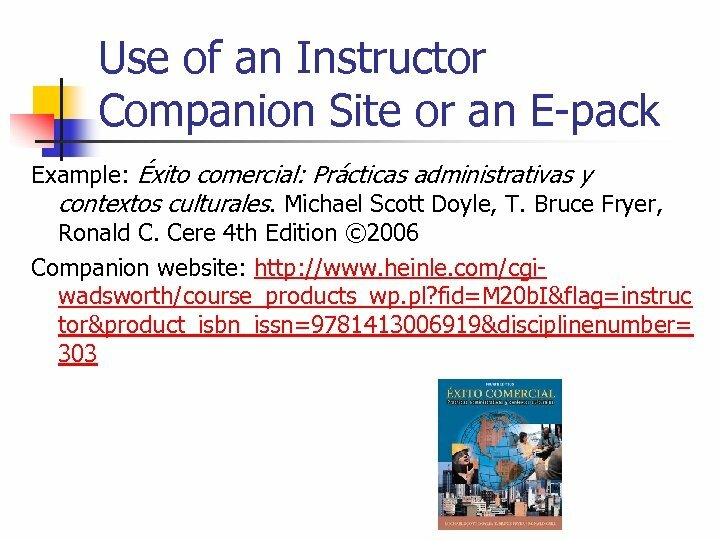 Determine the number of chapters to teach and the aids Edit materials and exercises to be used in each lesson. 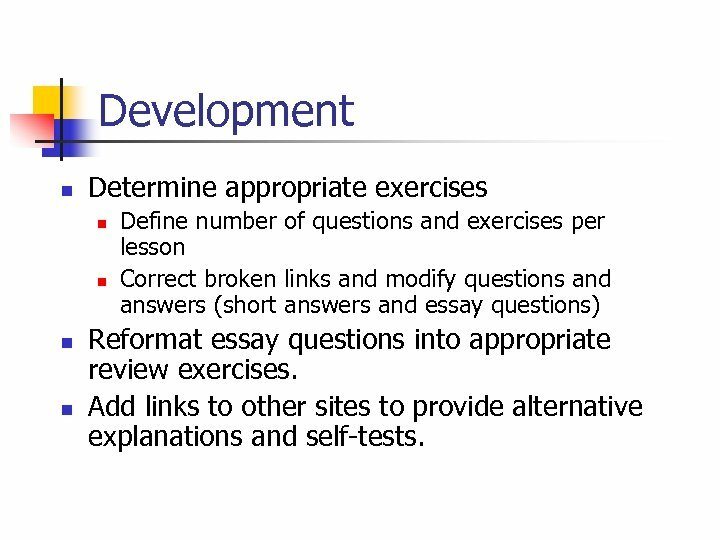 Development n Determine appropriate exercises n n Define number of questions and exercises per lesson Correct broken links and modify questions and answers (short answers and essay questions) Reformat essay questions into appropriate review exercises. 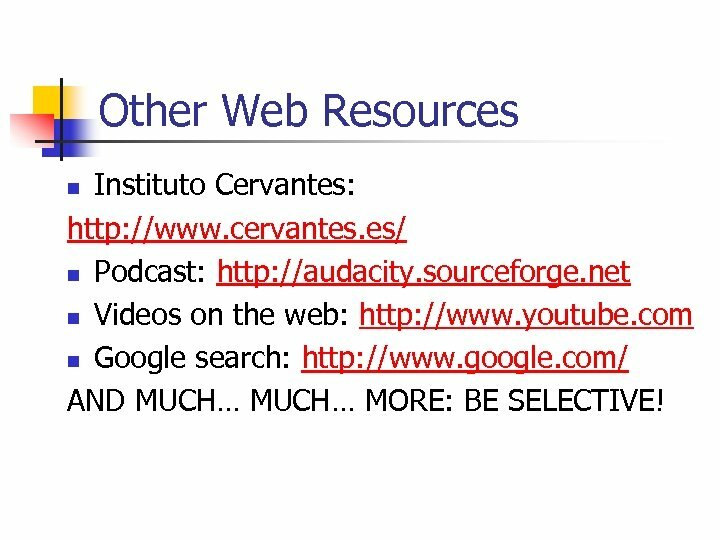 Add links to other sites to provide alternative explanations and self-tests. 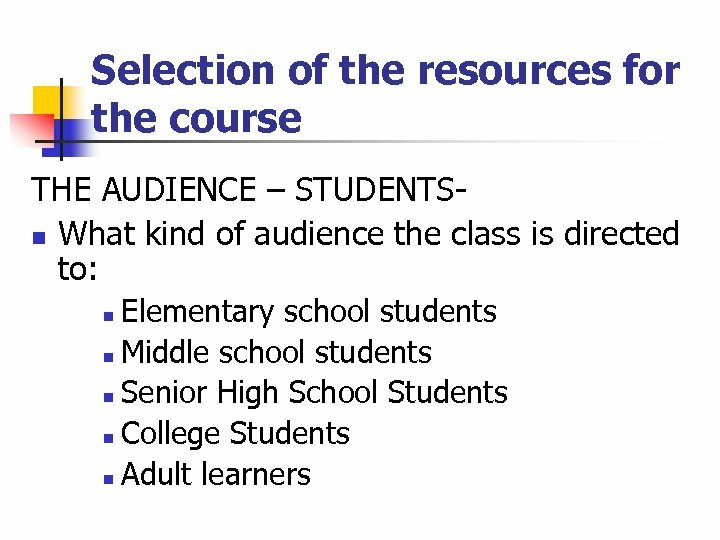 Outcomes n Face-to-face, web-based, and/or fully online sections optional n Master courses available as templates. 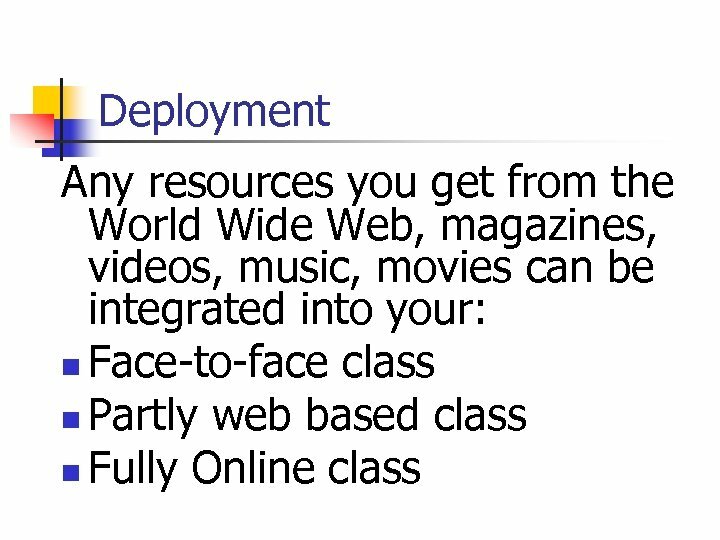 n Course management simplifies: n n Course materials are available any time, any place. 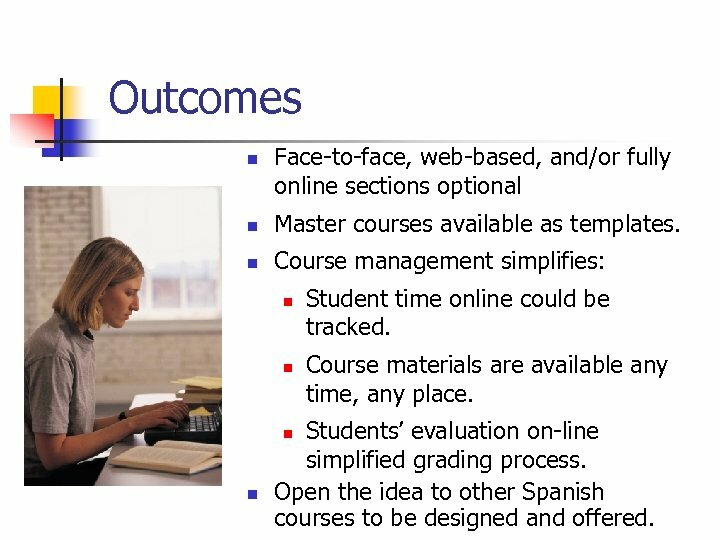 Students’ evaluation on-line simplified grading process. 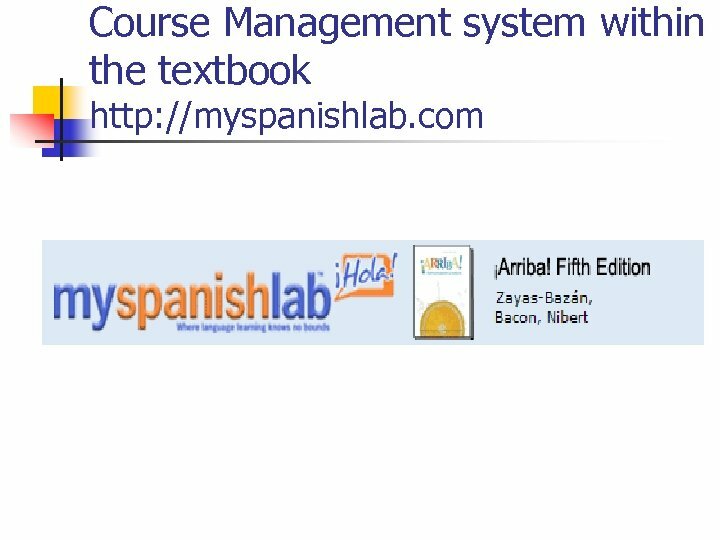 Open the idea to other Spanish courses to be designed and offered. n n Student time online could be tracked.